I made these for you guys. I've had so much feedback on *more* healthy desserts/easy treats... and these just felt like a natural fit with Easter right around the corner. But they have quickly become for my husband. He's been taking a few to work everyday for a little "pick me up" midday (and even sharing with coworkers from time to time), and let me know that they're basically a part of his routine now. So it sounds like I'll be making these at least once a month from here on out! 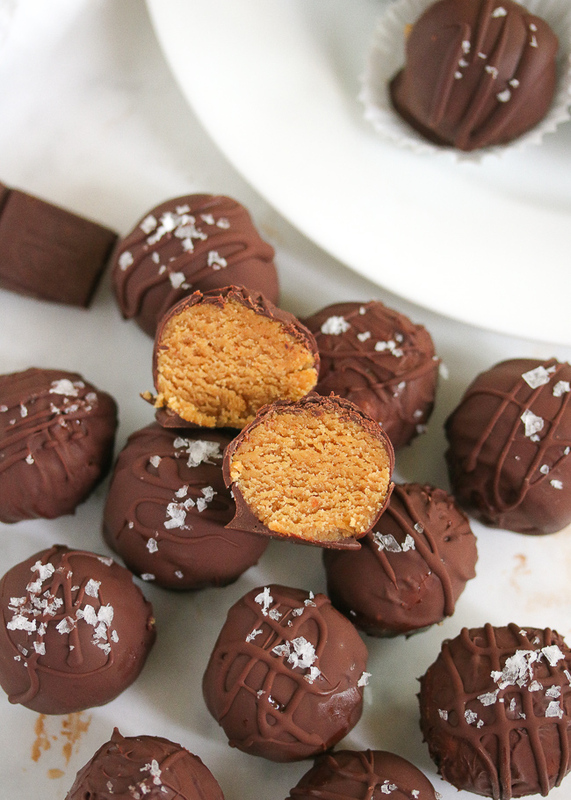 These are smooth, creamy, and almost peanut butter cookie dough like on the inside, with a chocolate coating and flakey sea salt topping. You can totally skip the salt, but it adds such a good flavor balance, I couldn't resist! Plus, it looks fancy. Try these as a family treat for Easter, or make a batch for you or your spouse to take to work. Everyone deserves a truffle for waking up & adulting all day. See my links in the recipe & notes below for keto options and ingredient sourcing! You can get everything from Amazon. Including THESE little candy papers that make them look very professional! 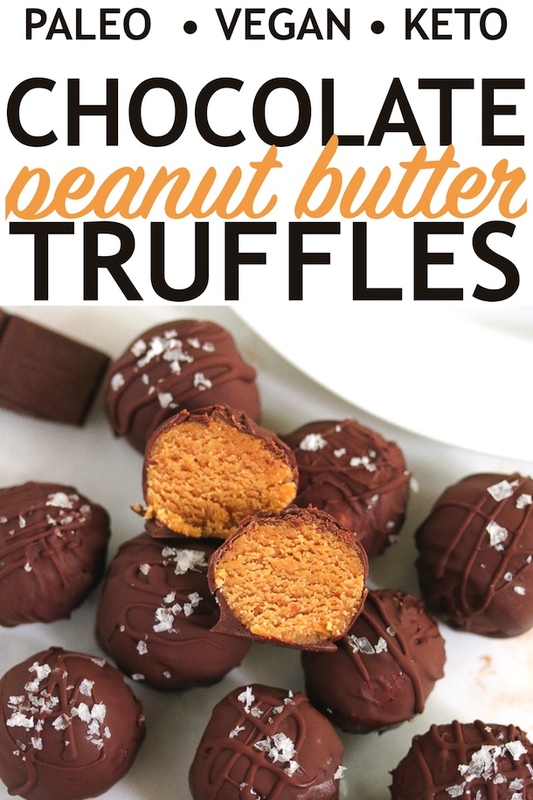 Makes 32 truffles, feel free to half the recipe! Add the peanut butter and maple syrup to a large mixing bowl and stir until combined. Stir in the coconut flour until smooth. Transfer the mixture to the refrigerate for 15-30 minutes for it to firm up (makes it easier to handle). 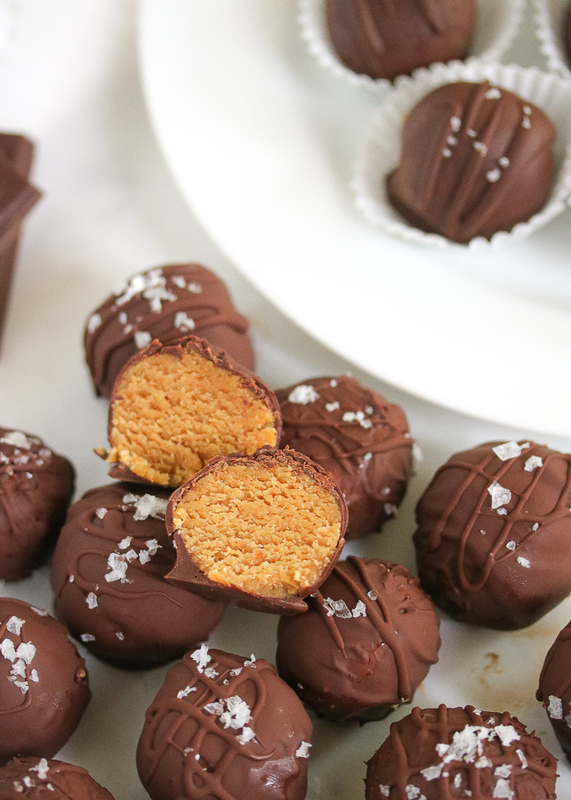 Divide the mixture and roll into 32 truffles (or as many as you like, depending on the size you want). Place on a lined plate or baking sheet and freeze until solid, about 1 hour. Melt the chocolate chips in the microwave or on the stovetop. 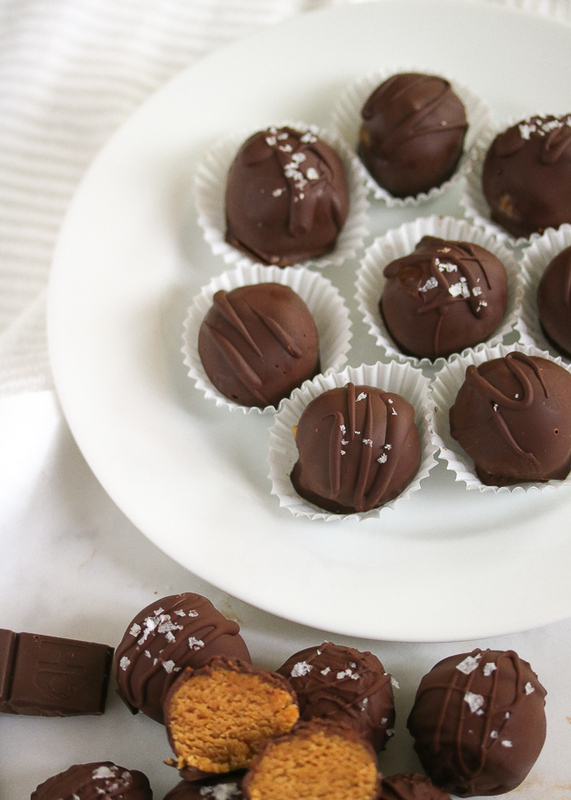 Take the peanut butter balls from the freezer, and use two forks to dip each truffle into the melted chocolate. 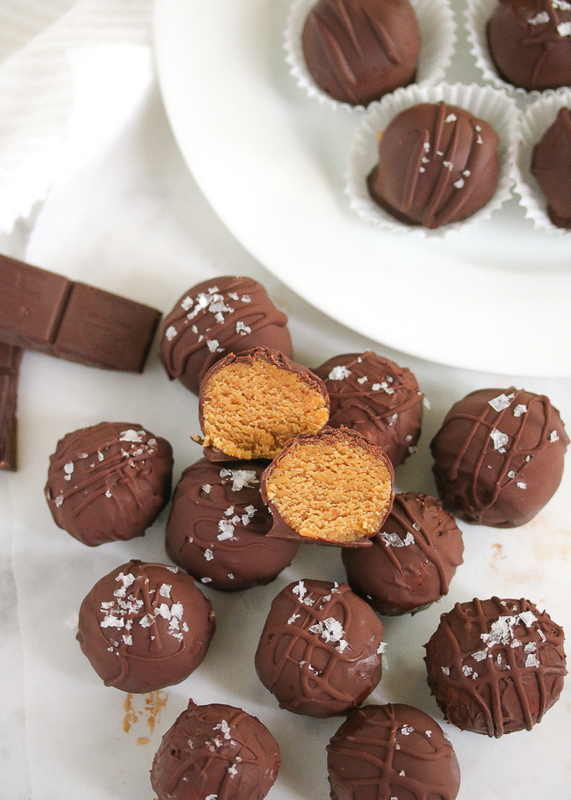 Let any excess chocolate drip off into the bowl before placing the truffles onto a lined plate or baking sheet. While the chocolate is still warm, sprinkle with flakey sea salt if using (so it will stick to the melty chocolate). Refrigerate the truffles until the chocolate is hardened, about 20 minutes. Store in a covered container: 2 weeks at room temperature, 2 months in the refrigerator, or 6 months in the freezer. Enjoy! For the chocolate, you can also use a dark chocolate bar - an easy way to find a clean version. Just be sure to chop the bar up first into small chunks, as it will be easier to melt.